You already spread the word, now allow us to reward you! 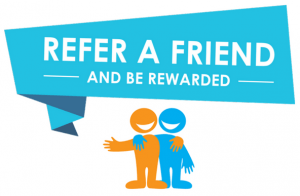 Our new referral program rewards you for telling your friends - and it's really simple! You just tell them to mention your name. We do all the tracking and keeping records. All we ask is that your friends write out your full name if they book online or mention your full name when booking on the phone. That's it! 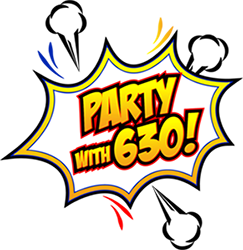 This referral program is great for parties at home, at church or at school events. Most parents will ask you where you found us anyways so please allow us to reward you for passing along our information. It's our way of saying, THANK YOU. 1. You rent from us and we make you happy. 3. We deliver to them and make them happy. 4. They are happy and you two remain friends for life. 1. We issue you a $10 credit for every referral. 2. We track referrals. You don't worry about it. 4. No limit on how many referrals you earn. 5. And YES you can combine with coupons!